This fast growing division was created to assist our clients in developing their own custom-made disposables. Innovative and sustainable packaging enables them to distinct themselves from competition. 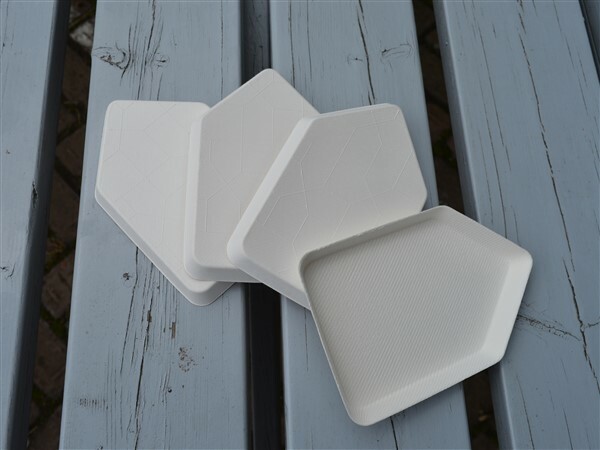 Our customers have specific demands which can’t be fulfilled by standard tableware. We can help you strengthen your brand and sustainability actions. Natural Tableware is an expert in sourcing new products as well as designing and manufacturing branded and custom made disposables. 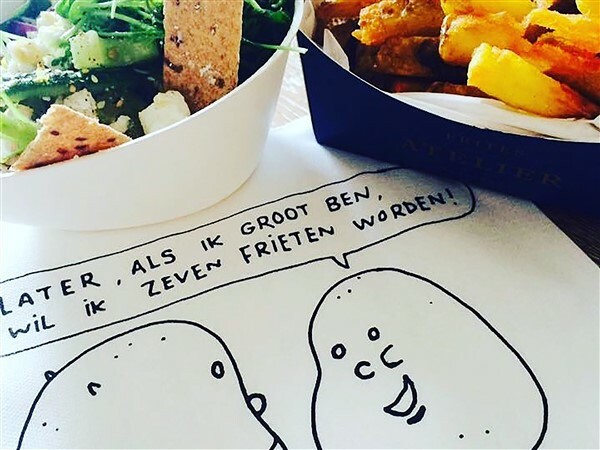 Due to our wide network and close relationship with our factories, custom made solutions from Natural Tableware is often more economically interesting compared to "off-the-shelf" products. 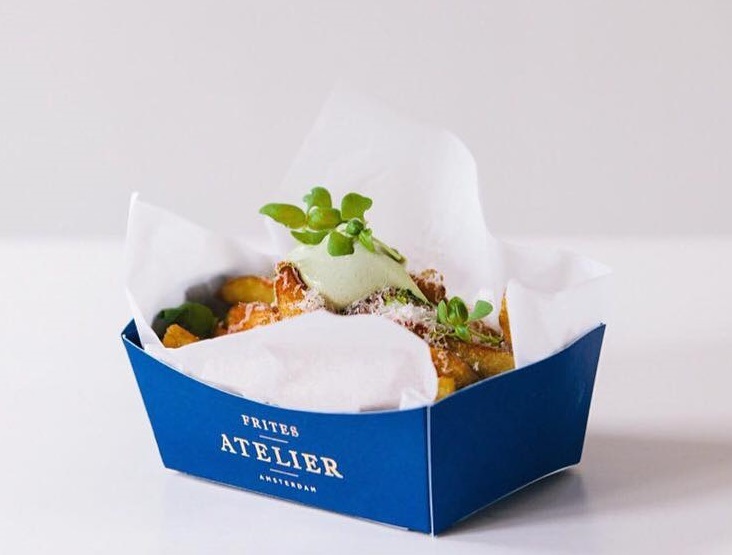 One of our largest Costume made clients is Frites Atelier Amsterdam, a ecological fries to-go concept created by Sergio Herman from 2 star restaurant The Jane Antwerpen. 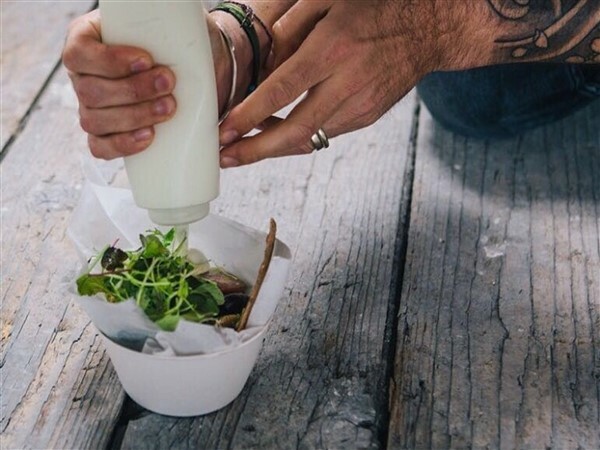 We work together with your choice of design team to integrate your brand experience to a cost efficient plastic-free packaging solution that can be efficiently produced and distributed, making sure your marketing strategy is integrated throughout the value chain. We source the highest quality materials and utilize appropriate production facilities to produce your design with the most balanced price and quality ration. Through our flexible production strategy we source the most value adding solutions in multiple facilities and reduce the price per unit as your sales increase. Through our fulfillments canters in The Netherlands, Germany and the US we offer customized solution on inventory management, keeping your stock at our facilities and delivering directly to your stores and outlets. We believe an integrated packaging solution is only effective if it generates return on the investment. We measure the ROI on your packaging strategy through sales and margin increase, against design and production costs. We align our growth to your profitability.